If you’re a parent, you’ve probably had an experience like the one I’m about to describe. If not, that’s ok. I’ll still try and keep it relatable. I’m continuing to explore the use of mental models as a way to problem-solve in the EHR. I found a great example share; it was while playing video games with my son. Specifically, losing to him quite badly. What a man wishes, he also believes. Similarly, what we believe is what we choose to see. This is commonly referred to as the confirmation bias. It is a deeply ingrained mental habit, both energy-conserving and comfortable, to look for confirmations of long-held wisdom rather than violations. Yet the scientific process — including hypothesis generation, blind testing when needed, and objective statistical rigor — is designed to root out precisely the opposite, which is why it works so well when followed. The modern scientific enterprise operates under the principle of falsification: A method is termed scientific if it can be stated in such a way that a certain defined result would cause it to be proved false. Pseudo-knowledge and pseudoscience operate and propagate by being unfalsifiable — as with astrology, we are unable to prove them either correct or incorrect because the conditions under which they would be shown false are never stated. I learned this the hard way in a competitive game of Mario Kart. My son was winning every race. No matter how hard I tried, I couldn’t even get close to catching him. This was extra frustrating because I had once been the reigning champion of Mario Kart in our household. After being crushed completely throughout an entire series of races, it was time to take a look at my strategy. What was I doing wrong? What was I missing? Better yet, what was he doing right to be so successful every time? I broke down. I asked my son for help. Do everything you can to make it through the race as fast as possible. I thought that’s what I was doing. My belief was that I had the same goal. Enter the mental model of confirmation bias. I wasn’t seeing the complete picture at all. I was seeing a distortion. In addition to doing my best to go fast, I had a problem. It was a problem that was costing me more time than I was aware of. I was distracted from the pure goal of speed and completing the race. My error was subtle. Every time there was an upgrade or power-up available, I would try to get it. And guess what. Often these power-ups were off the path I needed to be driving to make me faster. I would lose a little momentum here and a little momentum there, all in the name of chasing what I thought were valuable items. Meanwhile, I was losing every race by a big margin. Back to the idea of falsification: at least I had proved one consistent way not to win. I have to be honest. I thought my son knew some secret trick that he wasn’t telling me. Not at all. He just had a better strategy that I couldn’t see. For that he deserved his victories. Question 1: What is my outcome? I’m assuming you’re reading this because you want to have a better experience in the EHR. More specifically, most people want the EHR to be faster and easier. Said another way, we want it to be less painful. Spend some time clarifying the exact outcome you are looking for. Question 2: Why do I want this outcome? Find the reason that resonates most with you, and then move on to question three. Question 3: What actions must I take? See if someone in your practice can help you get more efficient. This is especially effective if you can copy the habits of a high achiever who does similar work to you. Find ways to do less in the EHR. Simplify notes, remove any steps that aren’t absolutely mandatory. Be ruthless when throwing unrequired tasks overboard. Delegate more effectively to other team members (much easier said than done). Sit down with your team to identify bottlenecks in the flow of your day. Perhaps most important, be open to trying something new. Whatever you do, make sure it aligns with your “what” and your “why” outlined above, as well as your personal values. The key is to pick an action and get started. Question 4: Is this working? 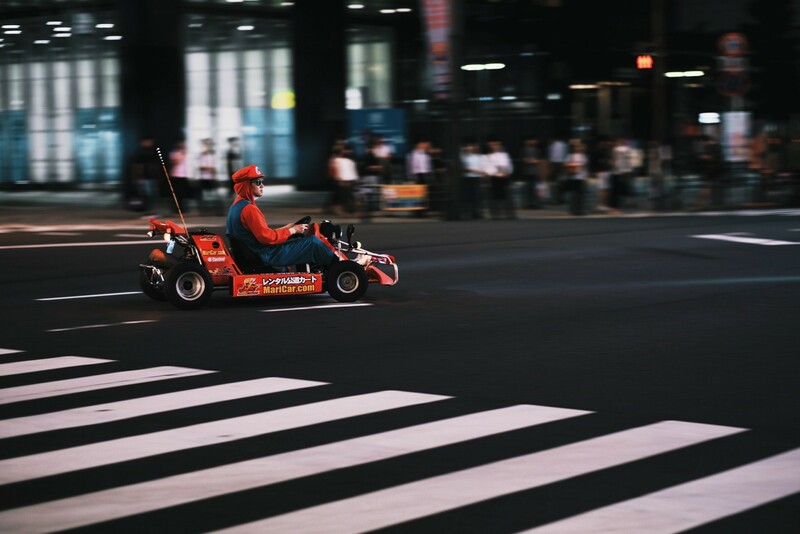 Is your effort in the EHR like me playing Mario Kart, believing I’m playing to win, but going out of my way to do unnecessary tasks that subtly sabotage my success? If what you are doing isn’t working it’s time to ask why. Learning new mental models is one way to build a better toolkit for avoiding blind spots in your thinking. It has broad applications in life. Having a chance to win a videogame may not your goal. Being in less pain and suffering less burnout from the EHR just might be. I’ll close with a quote from Charlie Munger about how easily we get stuck in our patterns of thinking. Knowing the mind does this is an important step to finding new paths forward. It gives you the opportunity to think and do things differently, which as far as I can tell is the only way to stop getting the same old results. and the human egg has a shut-off device.